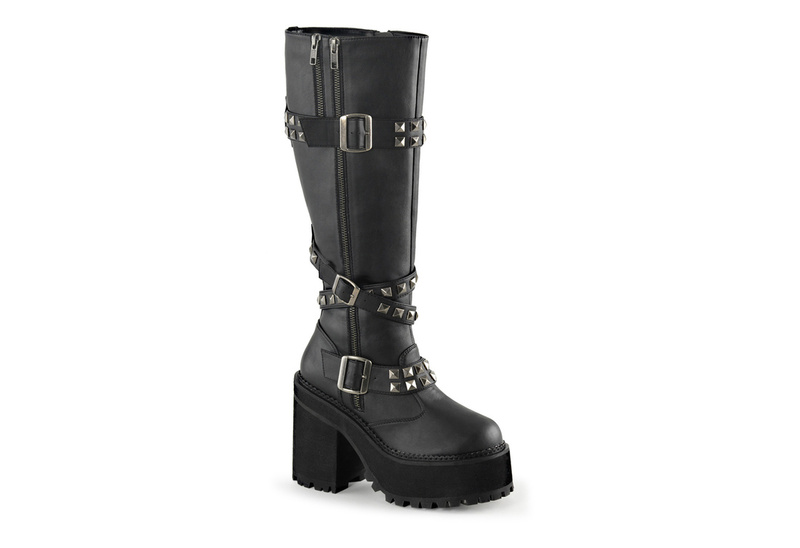 Black veggie leather look boots with 4 3/4 inch black heel and 2 1/4 inch platform. 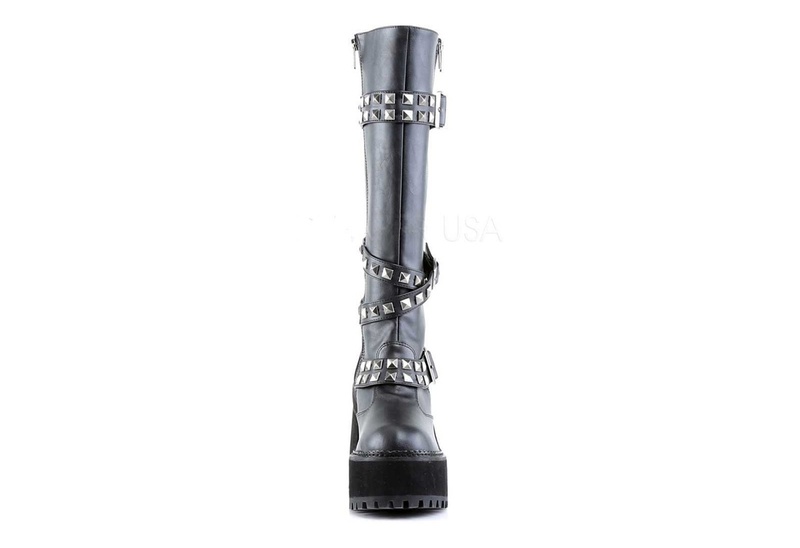 Knee high boots with multi buckled straps and pyramid studs. 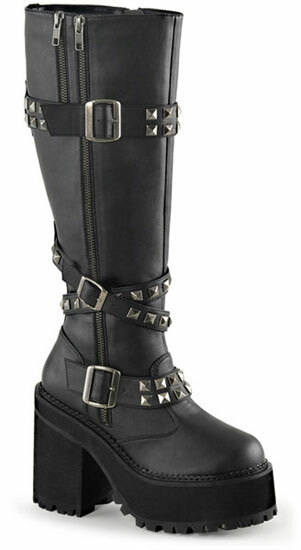 Exposed outer side zipper with full length inner zipper. Imported.